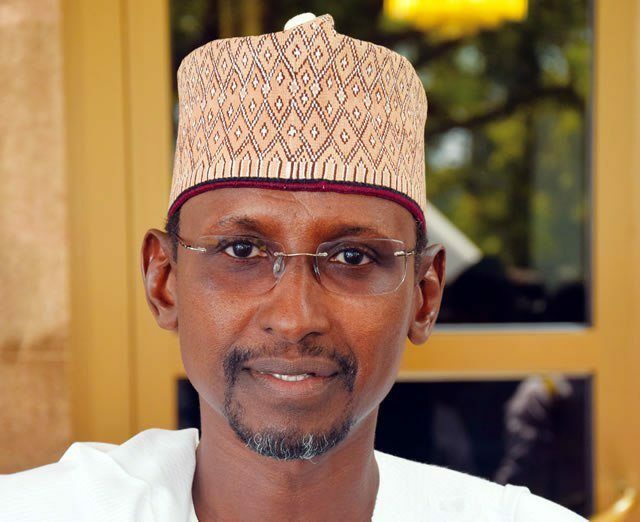 The Minister of Federal Capital Territory (FCT), Muhammad Bello has called on communities benefiting from Ecological Fund disaster control projects to own, protect and maintain government’s infrastructure in their areas. 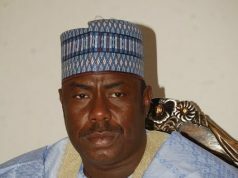 Bello made the appeal when he inaugurated the Abaji and Karshi ecological fund erosion and flood control works in Abuja. The projects were among the 51 intervention projects, executed by the Ecological Fund in various parts of the country under the second and third quarters of the agency’s project cycle. The minister, who expressed hope that the projects would impact positively on the life and environments of the benefiting communities, urged them to stem the projects from relapsing into another cycle of degeneration. “I am truly hopeful that the successful completion of the project would improve the environment and welfare of the benefiting communities. “This is because it would reduce the dangers to lives and property posed by erosion and persistent flooding in these areas. “There is also no doubt that it will open windows of opportunities for economic growth,’’ he added. Bello recalled that at the inception of the current FCT Administration, the Ona of Abaji, Adamu Yunusa, had approached him with distress call on three main issues confronting Abaji residents. He said that the issues include the threat to houses occasioned by the widening gully erosion, potable water and the completion of the Abuja University of Technology, Abaji. 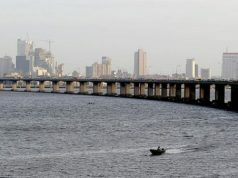 The minister, who had taken the matter up with the Ecological Fund Office (EFO), commended the agency for the speed with which they responded to his request for intervention. Bello expressed satisfaction with the work at the gully and the returning of the contractor for the Abaji Water project to site. He also hoped that the Abuja University of Technology would take-off as soon as the National University Commission gives the necessary clearance. The minister noted that the effort of the EFO bears testimony to the commitment of President Muhammadu Buhari to improve the living conditions of Nigerians. Speaking, the Permanent Secretary, Ecological Fund Office, Habiba Lawal noted that the project was as a result of a passionate appeal forwarded to the Ecological Fund Office by the FCT minister. Also speaking, Ona of Abaji, Adamu Yunusa and and Emir of Karshi, Ismaila Mohammed respectively, expressed appreciation to the minister and thanked the President for his prompt approval of the project. Abaji project involved the reclamation of a wide expanse of gully in the heart of Abaji town, measuring over 7000 square meters. The ravine was created by prolonged erosion posing serious threat to surrounding vegetation, residences and businesses. Scope of work included land reclamation, reinforced drains, water re-channeling, land-fills and surrounding road networks. 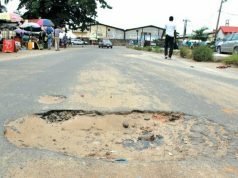 The Karshi project involved the reconstruction of 1.7 kilometre township road at the cost of N263 million, which had been destroyed by persistent flooding. The work done included the provision of concrete drainage system, laterite fillings, culverts and asphalting.